← What do you want to read in a Sewing Magazine? If anyone feels tempted to have a go at the alteration challenge that was set on the Sewing Bee last night (don’t worry, no spoilers contained in this post if you haven’t seen it! ), here’s a bit of background knowledge to help you. Putting a sleeve into a sleeveless armhole is never a good idea, take note from the most successful version last night – Chinelo’s pleated sleeve head. A sleeveless armhole is much smaller than an armhole designed for a sleeve, with good reason – so that it doesn’t gape! This makes for a snug armhole that is completely the wrong shape to then go adding in a sleeve. I’ve also seen the term “set-in sleeve” not being used properly this morning. So, as I like things to be just so and as I believe that if you’re learning a new skill, it’s best to get it right from the start, here’s a little starter for ten on sleeves….. 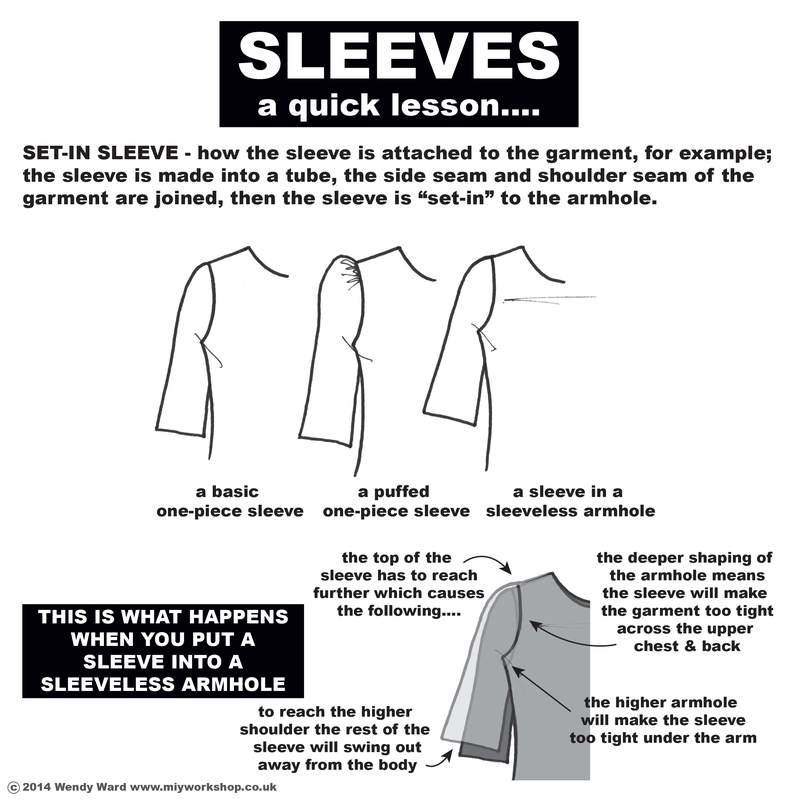 So, if ever you’re trying to put a sleeve into a sleeveless armhole, remember……you need to add some kind of fullness into the top of the sleeve, be it in the form of gathers or pleats. That is, if you want to be able to move in the garment! 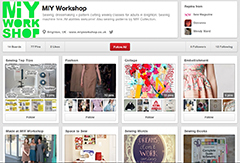 This entry was posted in Sewing help and tagged great british sewing bee, learn to sew brighton, learn to sew sussex, MIY Workshop, sewing classes Brighton, sewing classes sussex, sleeves, Wendy Ward, what is a set-in sleeve. Bookmark the permalink. Hi Wendy – are there tips on your site for altering the armhole on a pattern for a sleeveless dress in order to make it the right shape to fit a sleeve? Hi Jennie, thanks for your comment! The same problem in reverse! So, what you need to do to that armhole from which you’ve removed the sleeves is: shorten the shoulder / scoop out the curve of the armhole / and possibly bring in the side seam a bit at the underarm and pinch out a bit at the end of the shortened shoulder. This may leave you with an acceptable armhole shape, but it might still gape a bit. You can always add a small dart into adjusted armholes to minimise gape. Then you’ve got to choose a way of finishing the armhole – make a facing or using bias binding…. ps. remember any alterations to seams like taking in the underarm and shoulder, you need to run your new seam line to join the original one so you get a nice smooth bump-free seam! Thank you Wendy. I will give that a go on a friend’s dress. I hope to see you at a workshop one day. I need a new sewing machine first and am saving funds! Look forward to seeing you at a workshop sometime soon! I’ll be announcing new dates towards the end of May. If I add you to my mailing list you will get priority booking before they’re advertised on my website. Let me know if you’d like to be included!